The House that Jack Built isn’t getting a wide release until December 14th, but we went to a one night only showing of the director’s cut a month early at the Cinema 21 in Portland. So this is a rare instance where we can provide a review well in advance of a wide release. The film tells the story of an unassuming, yet prolific serial killer named Jack. It’s told through a series of 5 short vignettes of some of his notable kills. It’s told over the course of 12 years from the mid-late 70’s to the mid-late 80s and takes place in the rural Pacific NorthWest of the United States. Jack’s nom de guerre is Mr. Sophistication, which he writes on the grisly photos he takes of his victims. Throughout the film Jack’s descriptions of his personal condition, problems and thoughts are told through a recurring conversation with the unknown “Verge”. Jack views himself as a sophisticated man and the story is told through his own mixture of arrogant and narcissistic sophistry. If that sounds like a pretty pretentious serial killer movie, well, I’d be lying if I said it wasn’t. The film is directed by Lars Von Trier, who also directed all of those art house movies you meant to see but never got around to. Jack is played by Matt Dillon, which is probably the best part of the movie. I thought he did a fantastic job portraying a psychopath pantomiming normal human facial expressions and when required had great comedic timing. Jack acts as the films unreliable narrator, and tells the story of his failings and mental illness from his elevated perspective of himself and his “art”. Jack’s victims include the likes of Uma Thurman, Siobhan Fallon Hogan (that lady from MIB), and Riley Keough among others. The death scenes where genuinely disturbing, and acted as punctuation for Jack’s ruminations. I appreciated that they didn’t dwell on the fetishization of the killings themselves, they were handled more or less matter-of-factly which to me, makes them more impactful. It definitely delves into the distasteful and absurd with his storage and… use of the bodies. I could see how this film could be viewed as too pretentious for it’s own good, but somehow it worked for me. We saw the director’s cut, so there was definitely some fat that could be cut to improve pacing and make it slightly less art-housey, but I found myself laughing and cringing at the right moments. This is a serial killer movie that definitely pushes the envelope. Many of the killing scenes seem a little too real, and feel a little like watching a sudden snuff film. Uma Thurman’s character all but dares Jack to murder her and he obliges. It’s almost expected. The other murders are expected, but what is surprising is their brutality and grotesqueness. The point at which the film really changes tone is when Jack murders a small family on a supposed hunting picnic. Little does the woman and her children know that they are the ones hunted. The set up sounds like a generic 90’s thriller, but in this movie, it is a cold and brutal sequence where you get to experience the murder of children in the first person. Then to double down on the tastelessness, Jack taxidermy’s one of the young boys to greet him for when he enters his body storage fridge. If you’re like me and can compartmentalize this type of violence and can appreciate the absurdity and gallows humor of the likes of The Human Centipede, then this movie might be of interest to you. The eponymous house of this film is proof enough that Lars Von Trier isn’t as interested in high art as Jack “Mr. Sophistication” is. The real spoiler to share is that the voice that we hear throughout the movie that accompanies Jack’s voiceover is none other than Virgil, the author of the Aeneid who reprises his role from Dante’s Inferno by leading Jack through the depths of hell. This is portrayed very literally in the epilogue, and is one of the most striking sequences in the film. At times indulgent, the epilogue is a uniquely cinematic portrayal of a very mythic style of storytelling. It concludes with Jack faced with the choice of accepting his fate and living eternity in a slightly better hell, or tempting fate and falling into the deepest depths of hell. Given what we are told about Jack and his innate desire for self destruction and wanting to be caught, the choice is obvious, but also an effective moral bow to tie up the movie. 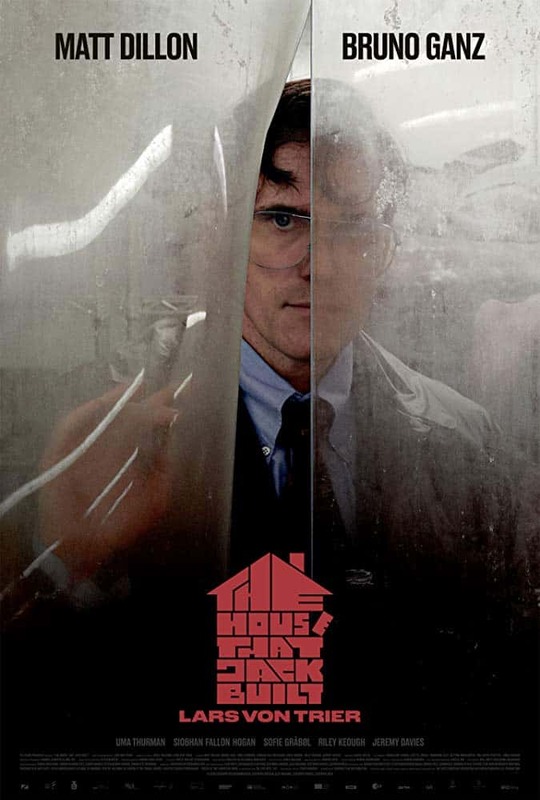 Is The House That Jack Built Worth Seeing? I would say yes with the caveat that it isn’t for everyone. If you like your horror movies quickly paced, then move on. This one takes its time, but to sometimes excellent effect. If you have an art-house taste, this is right up your alley. In general it’s not great, but definitely better than average. Dillon’s performance is worth the price of admission, and the storytelling is unique and interesting given that the serial killer sub-genre can often be so stale and bland in its execution.